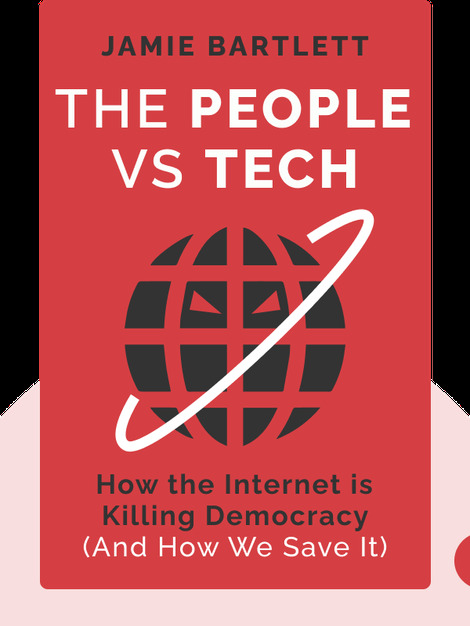 The People Vs Tech (2018) examines the rise of digital technology. It argues this process is undermining six of the key pillars of democracy: active citizenship, a shared democratic culture, free elections, free association, equality and governmental authority. Looking to the future and observing how it is already unfolding in the present, it paints a chilling picture of the possible dystopian world to come. However, it also shows the paths that are leading us to that world and suggests that these paths can be redirected, pointing the way to a better future. 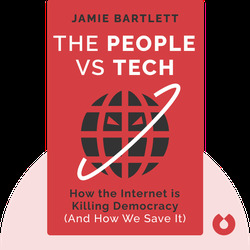 Jamie Bartlett is the Director of the Centre for the Analysis of Social Media (CASM) at Demos – a UK-based think tank that focuses on developing evidence-based solutions to inform social policy. Writing on technology as a regular contributor to publications such as the Spectator and the Telegraph, Bartlett is also the bestselling author of The Dark Net and Radicals Chasing Utopia: Inside the Rogue Movements Trying Change the World.